SS Sep 5 OH Sep 8 (1-4 pm) OTP Sep 9 after 7 pm. 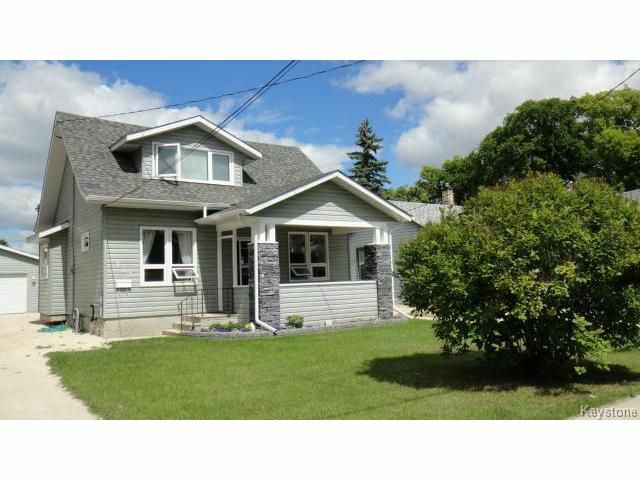 Gorgeous completely remodeled 1 1/2 storey. Formal LR & DR w/french doors, kitchen w/raised white panel cabs, 2 brs. up & 1 down, MBR w/walk in closet, beautifull bath w/separate shower stall and soaker tub, good 3/4 basement. Low-E argon windows '10, 35 yr. shingles '09, alum. eaves, soffits & fascia '09, vinyl siding '11, new 100 amp elec. '08, 60 amp garage '08. HWT '09, Hi-E furn. & central air '06, kit & bath remod. '08. Includes fridge, stove, washer, dryer, d/w and alarm. Double garage on a 50 X 223 foot fenced lot w/deck,shed and fire pit. Shows AAA.